Every Wednesday, 7am @ Open Doors International Language School, 28 Woodland Terrace Lane, Greenbank, PL4 8QL. Followed by a light breakfast at 8am. For the launch of XRhythms online in Stoke on Trent. The Friday Bible study, that we might see all come to maturity in Christ…. Strength in the spiritual battles and from that issues with staff morale etc. Please pray for God’s timing to influence the next General Election (and the outcome of Brexit). For Rebecca as she juggles several jobs with her responsibilities as a local Councillor. For her work in various council committees. For God’s agenda to be moved forward in Plymouth through the decisions of the council as well as the government. For wise and supportive friends. Those on the edges of the system eg hairdressers and those who provide outings etc. The release of all the books held by the new supplier as they work out their policies etc. For Councillors and Council staff to have courage and conviction to keep working towards the best outcomes for the people of Plymouth. For wisdom as the role and funding of Local Government changes. Please thank God for answered prayer; the open door into schools and the growth of the men’s ministry. Please pray for the opportunities in Plymstock School, that God will continue to protect the witness of the Christians who are involved in CU’s, lessons, mentoring etc and that students and staff will hear about Jesus and see Christians serving out of love. We have struggled to reach many children through our Primary School aged club, pray for wisdom as we plan next term. Praise for 500 000 students this year. Key to Life tells the story of Jesus through a unique, interactive and immersive session. Using huge floor to ceiling computer touch screens, participants can watch films; interact with games and quizzes; and take part in small group discussions – helping them explore what Christians believe, and understand how the story of Jesus is key to Christianity. Financial sustainability of the new Plymouth Chronicle which begins deliveries on 23rd March to 90,000 homes – thanks and praise to God for great interest already from advertisers and contributors. For the influence for the good of the whole city through these publications. For all Cornerstone Vision staff to experience life-changing encounters with God while they work together. For natural ways of reaching into the community via meetings / interest groups etc. 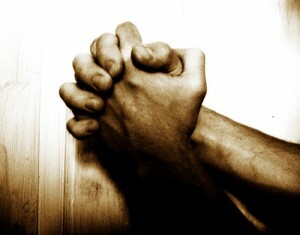 without a building…..
For spiritual resiliency for the leaders who are equipping the saints. A christian residential centre of excellence and healing in the city?